• Exide plans to pump in another round of investment in ING Vysya Life Insurance Company. This time the amount would be somewhere around Rs 150 crore. It should be noted that Exide has already been investing in ING Vysya Life Insurance. • Piramal Healthcare is planning to buy Enam Financial’s stake in ING Vysya Life Insurance. The present valuation of the insurance company stands at Rs 2400 crore. Last year Piramal Health got Rs 17,190 crore from Abbott Laboratories for its generic unit. 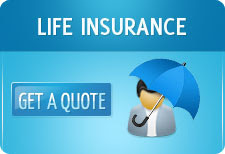 • Life Insurance Corporation of India (LIC) plans to invest more than Rs 2 trillion through the March fiscal. Apart from this its planned investment in equities will exceed last year’s Rs 400 billion.